At any given time you can always find a supply of Egyptian banknotes and First Day Covers among our listings. is time-consuming but we are making good progress. 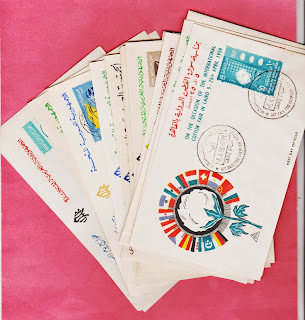 To me personally, Egypt has produced some of the most interesting and attractive covers you could hope to find. Certainly their appeal is not just to Egyptophile philatelists but also to those who simply appreciate the designs.